F.E.A.S.T. 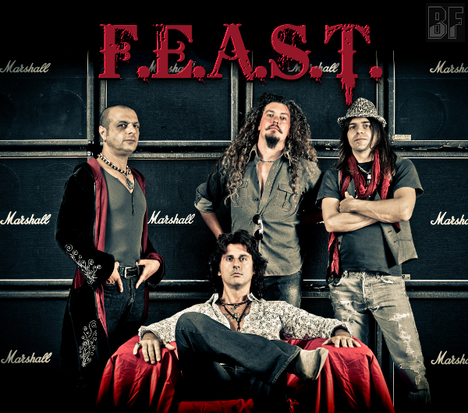 * is the brain child of Italian born singer and guitarist Fabri Kiareli, and delivered their debut album "Rise" in the fall of 2010. Now the band will release their 2nd album "Strong, Wild And Free" through Avnue Of Allies Music on November 2nd. 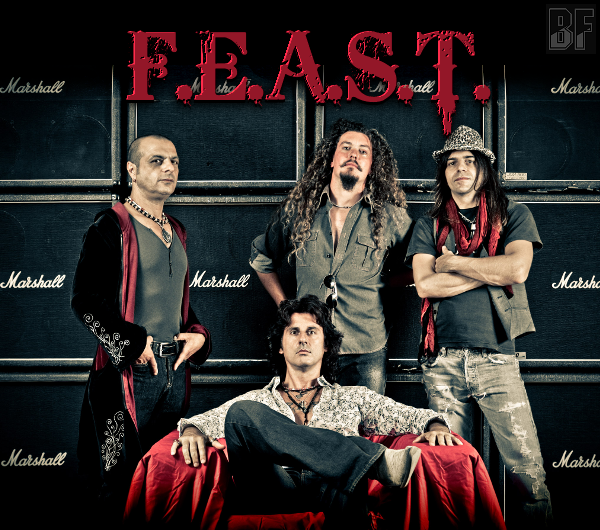 As a band F.E.A.S.T. they have played 120 shows in the north of Italy and as a guitar player Fabri Kiareli was a part of two successful heritage acts The Trip and UT in the Italian Rock scene. He came to Japan to play a couple of times. 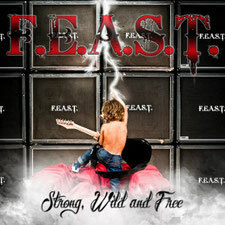 The new album "Strong, Wild And Free" picks up where its predecessor left off and it expands the musical horizon of F.E.A.S.T. by adding some more melodic moments. It proves to be a highly enjoyable blend of the Fabri’s various influences ranging from hard rocking tracks. Additional variation is delivered a tune cut from the same cloth as a classic MSG or UFO song and the Savatage inspired epic. All songs written by Fabri Kiareli except “Dancing To The Rhythm” written by Stevie Wonder (Jobete Music / Black Bull Music). Produced, arranged and recorded by Fabri Kiareli. Recorded, mixed and mastered at Room For Teen Studios between September 2011 and July 2012. Executive Producer: Gregor Klee. Guest guitar solo on “Hard Rockin’ Man” performed by Ser Joe Aschieris. * Since the band website is under construction currently, it is the link to their facebook page.